Congreso / Events — Comments Off on Our 21st Annual Graduate Student Conference Is Nearly Here! 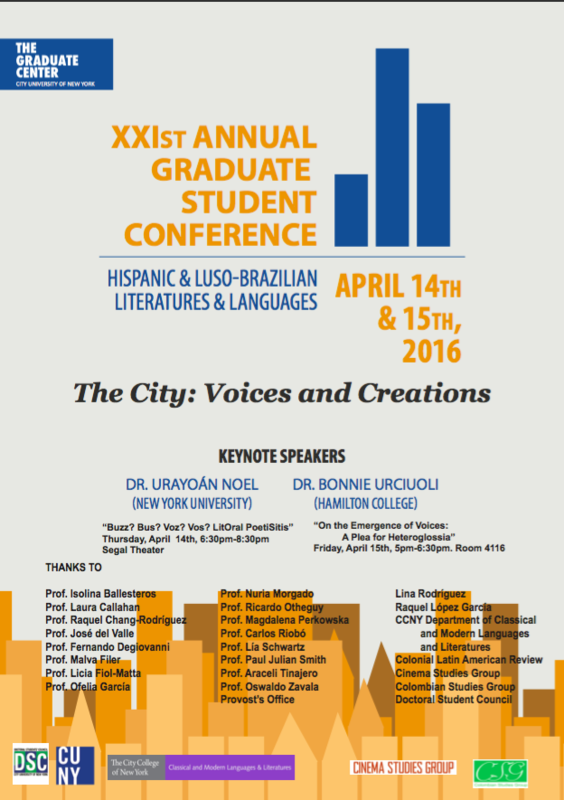 Our 21st Annual Graduate Student Conference Is Nearly Here! 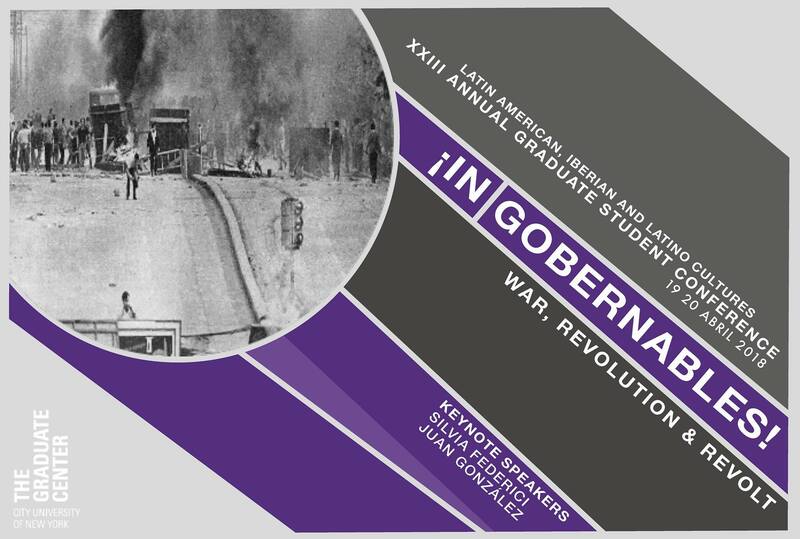 Next week our 21st Annual Graduate Student Conference will welcome scholars from around the country and the world to the Graduate Center for two packed days of panels, keynotes, and plenty of food. The amount of work it takes to pull off such an endeavor is enormous, and the entire HLBLL community wishes to thank the eight organizers of this year’s event: Gabriel Alvarado, Sara Cordón, Isabel Domínguez Seoane, Charlotte Gartenberg, Alexis Ipaguirre, Nancy Ortega Álvarez, Rebeca Piñeda-Burgos, and Rojo Robles. 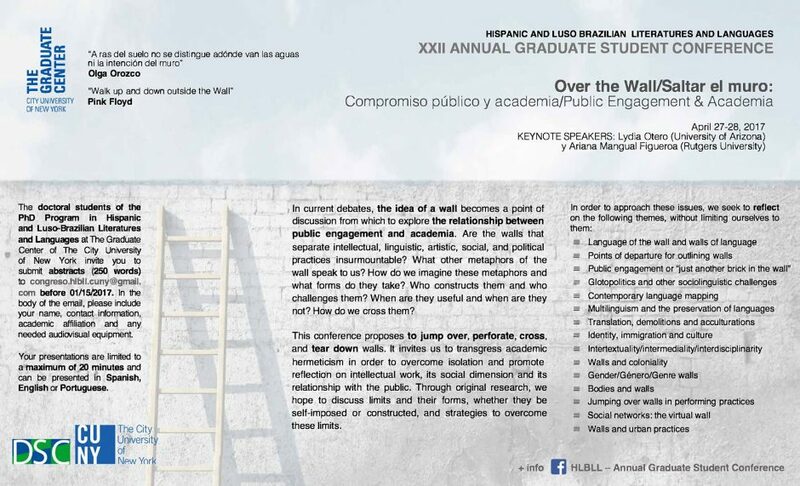 This year, the Congreso welcomes Dr. Urayoán Noel (New York University) and Dr. Bonnie Urciuoli (Hamilton College) as our two keynote speakers. Dr. Noel’s keynote address will take place on Thursday, April 14th, at 6:30pm in the Segal Theatre. Dr. Urciuoli’s address will be Friday, April 15th, at 5:00pm in the program lounge, room 4116. Find out more about our two incredible speakers and their keynote addresses here. Presenters and moderators for our conference hail from nearly 20 different universities and centers from around the world. Under the conference theme, “The City: Voices and Creations,” 13 different panels will be held on topics in film, literature, publishing, and linguistics. The complete schedule of the two days’ events can be found here. We encourage conference attendees to contribute to and follow along with the conversation around our conference on social media. We will be using #HLBLL21st on Facebook, Twitter, and Instagram. Follow/Like our accounts for the latest updates! 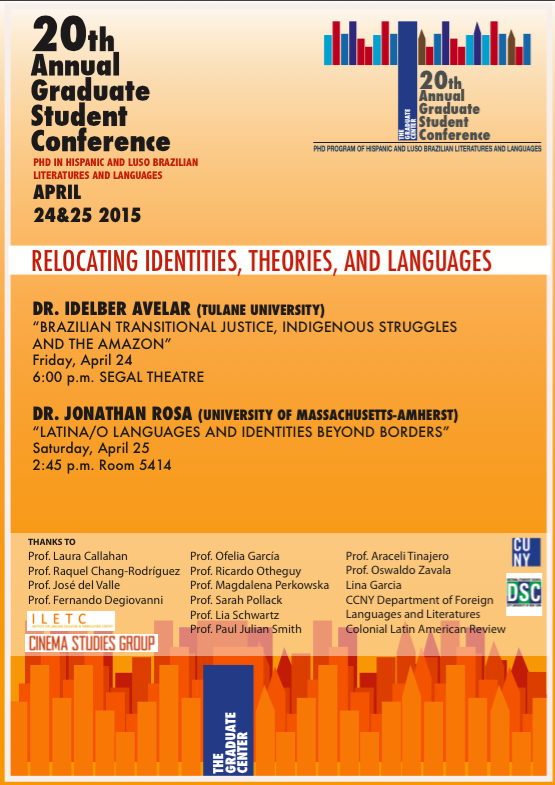 HLBLL’s 20th Annual Graduate Student Conference is Friday, April 24th and Saturday, April 25th, 2015. 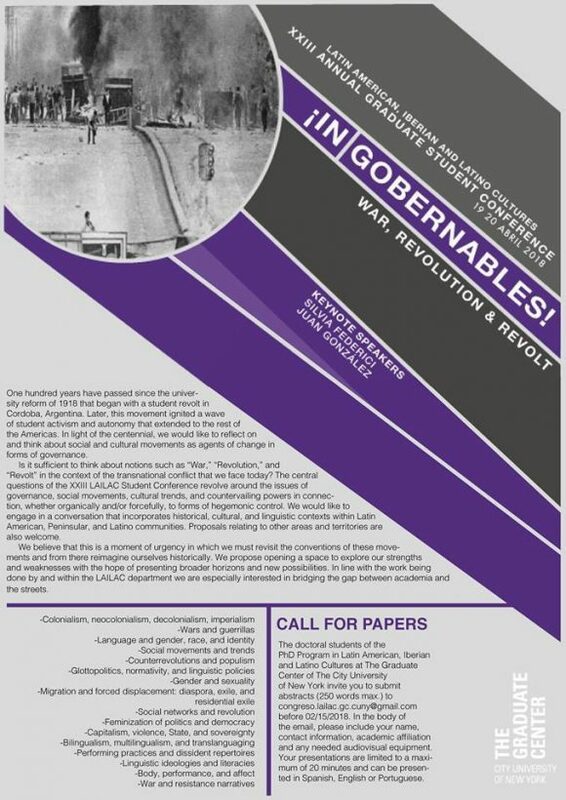 View the complete conference program here. The Hispanic and Luso-Brazilian Literatures and Languages Annual Student Conference is celebrating 20 years of excellence in graduate student scholarly work.